encapsulate the coveted combination of character, strength and simplicity. For your special day, pick this classic ring that combines the durability and timelessness of titanium with the pure charisma of a simple, unembellished design. The ring has a dome shaped band fashioned entirely out of titanium, and sports a brushed finish on its top surface. The robust design of this ring enables it to go beyond the definition of a wedding ring, and partner every outfit and occasion with finesse. Its elegance is derived from its simplicity; lightweight, corrosion resistant and extremely durable, it is guaranteed to partner you for years to come. Customize – You can customise this ring. You can have this ring in a different width, colour or metal if you prefer, or you can also get a matching ring to this made for your partner. Please fill in as much detail as you can on our ring customization form. 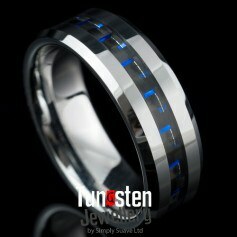 Brushed titanium bands are an all-time favourite among men’s wedding rings.